The Imperfect University: Do we need a level playing field? For the next, slightly briefer, piece in the Imperfect University series, I thought it might be interesting to pick on a topical issue which nevertheless has wider relevance and also serves to highlight some of the imperfections inherent in higher education. Following the White Paper, Putting students at the heart of the system, published in June 2011, there has been a lot of talk about importance of a “level playing field” for the universities and the expected new for-profit entrants to higher education provision in the UK (or, to be precise, England, given that the other nations in the UK have different, and increasingly divergent, arrangements for higher education and therefore their own playing fields with which to concern themselves). The demands for a level playing field seem to come from all quarters, with established players insisting that new entrants should be subject to all the same controls and constraints that already apply to them and the for-profit wannabees insisting that they need more of a break given the decades of advantage enjoyed by recipients of public funding. The fact that we are already in the sporting arena for our metaphors is in itself interesting (is this just a game then or is it more serious than that?) 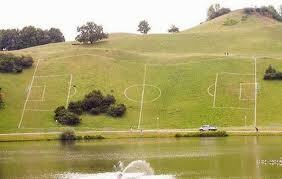 but if we set that matter aside and confine ourselves to the consideration of playing fields what can we conclude? Steve Egan, Deputy Chief Executive at HEFCE, at a recent AHUA (Association of Heads of University Administration) event, was rather dismissive of the idea of a single level playing field, preferring to imagine number of different playing fields. However, it was not clear if these were side by side or one on top of each other or indeed whether they were marked up for the same game or which teams were playing on each. Pinsent Masons, in a draft response to the BIS technical consultation (dated 14 October 2011, circulated by email on 18 October) observe that charitable universities and non-charitable for-profits have fundamentally different aims. They are two quite different teams – hens versus foxes is what Pinsents suggest – which means we are unlikely to get either a good match or a fair result. …the problem with the BIS proposals, as it seems to us, is that alternative providers will be given access to public funds when they have no corresponding obligations in relation to public benefit and the long term interests of the sector. Our alternative proposal is that in order to access public funds, whether directly through grants or indirectly through access to the student loan system, HE providers must have charitable status. fundamentally, public money should not be subsidising the private benefit of the owners and shareholders of for profit HEIs. So, it looks like the playing field is already sloping in favour of the for-profits. The case studies, which analyze a number of positive and less favorable governance situations, show that an appropriate regulatory framework, strong and inspiring leadership, and adequate management significantly influence the ability of research universities to prosper. Indian Institutes of Technology, for example, would not have operated as effectively as they do if they had been constrained by the same financial and adminis- trative regulations that all other public tertiary education institutions must adhere to in India. They have also, by and large, been protected from political interference for the selection of vice chancellors and the recruitment of academics. The comparison between the University of Malaya and the National University of Singapore illustrates in a striking way the differences in leadership and management approaches and their direct impact on the respective performance of the two institutions. Similarly, the University of Chile’s status as a public entity prevents it from competing on a level playing field with the Pontifical Catholic University of Chile. Paradoxically, the latter is not subject to the same rules concerning administrative, procurement, and financial control as the former, even though the Pontifical Catholic University of Chile receives budget contributions from the state as other public universities do. The University of Chile is also handicapped by excessive decentralization, which undermines the power of the rector, and by not having a board with outside stakeholders that can help the university to respond better to the needs of society. As private universities, Pohang University of Science and Technology and Monterrey Institute of Technology have enjoyed much more autonomy and flexibility than public universities in Korea and Mexico, respectively. And as just discussed, the Pontifical Catholic University of Chile has certainly benefited from its status as a private institution by enjoying the best of two worlds—the agility and independence of a nonpublic university, while obtaining public subsidies on a regular basis. The playing field therefore looks rather uneven in Chile too. So perhaps the way to keep the playing field level is with the conditions that attach to public funding. Whilst these often feel excessive to those of us working in universities, there is, nevertheless, a strong argument for at least some accountability for the use of taxpayers’ money (although there does needs to be a balance here too – more of this later in the series). David Willetts, speaking at the HEFCE annual conference on 18 April 2012, argued that there is already a level playing field (no, really) and that therefore we should all stop worrying about the precise legal status of the new entrants to higher education. It is difficult not to be concerned about this though. The HE reforms are going full steam ahead. There is a market. For-profit providers are full competitive players in the sector, and seem pretty content with the current (no bill, no extra regulation, no charity law obligations) state of affairs. With these competitive pressures rapidly increasing, encouraged by government, nobody can afford to be complacent and assume that the sector (or their part of it) will remain unchanged. Universities need to continue to think strategically about how they position themselves in a climate that’s becoming less predictable and where change will be driven by policy, not big set-piece legislation. The for-profit providers have been noticeably effective in their lobbying efforts with government. Universities should also think hard about what they want to achieve and what lobbying they need to do to get policy decisions working in their favour. The main missing ingredient is a coherent system of regulation to match the fundamental changes the sector is going through. The leverage of state funding delivered via HEFCE is about to disappear. For-profit providers are playing on the same field as universities but with different (fewer and less onerous) rules and obligations. We think this is important and something which government will need to square – where there is public funding, in whatever form, there needs to be (at least) appropriate public accountability and regulation. For the for-profit entrants, they will need to subject themselves to the same requirements as others if they wish to access public funding (as Hart suggests). The alternative is to enjoy the freedom to act which comes without such regulatory constraint. So, not exactly a completely level playing field and indeed the rules are a little different for both teams but there would at least be a chance of a decent match. And if we change ends at half time then we can at least argue that the unevenness of the ground doesn’t matter (although no doubt there would always be some complaints: “they had the wind behind them in the first half and it’s now changed direction” or “we had the sun in our eyes” etc). Then all we have to worry about is the referee. Or perhaps finding a new metaphor. This entry was posted in Admin, BIS, Government, HE, Imperfect University, international, Legals, Management, University and tagged Accountability, Administration, AHUA. for-profit, HE, HEFCE, international, level playing field, Pinsent Masons, regulation, universities, world by Paul. Bookmark the permalink. Ah but the fundamental point is the fact that universities have for centuries been about two things. The identification and finding of knowledge and the dissemination of that knowledge for public benefit – hence being charities. The public good is the thing the Government should be funding, the finding of knowledge and the dissemination of it. The primary purpose of universities is not, therefore, the private education of students. The new funding regime at least begins to break the link of public funding of private students from being via universities themselves. Yes the public good may be to fund poor people to go to university, that is a conversation between government and those students, not one with universities. Thus should any public money be going directly to primarily teaching universities at all? I would argue not. If we think about this then the real issue is that public funding of research should be via 100% coverage of costs (as overheads are not absorbed by state-funded teaching).